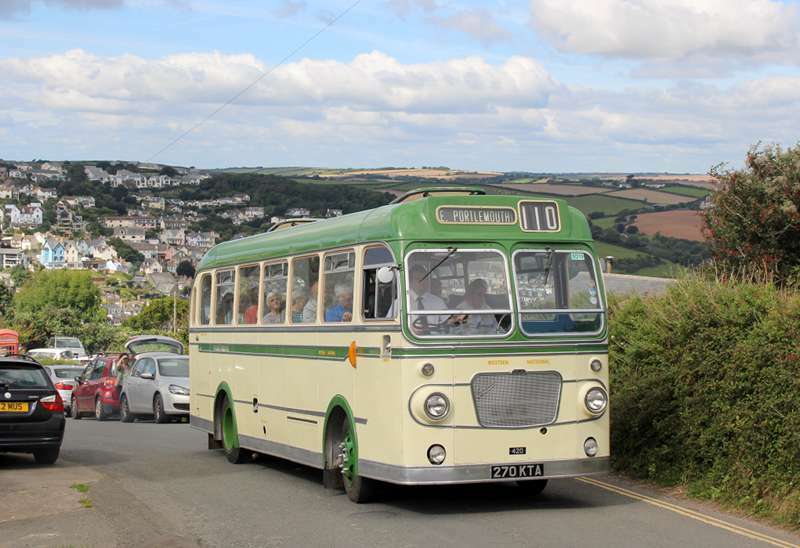 One Saturday in September each year, thanks to Colin Billington , there is a running day based on Kingsbridge Devon. This provides the opportunity to ride on, amongst other vehicles, preserved Bristol SUL coaches. One regular service is to remote East Portlemouth where there is a foot ferry across the River Dart to Salcombe. 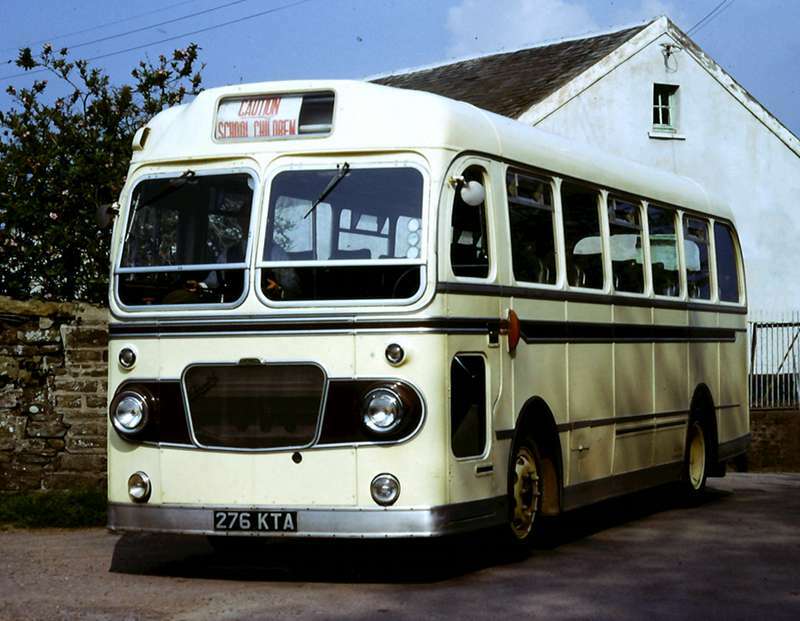 My first encounter with the coach version of the SUL was, curiously, with Tillingbourne when a scruffy one was acquired and initially used unrepainted mostly in Horsham away from the main area of operation. Subsequently I enjoyed a number of rides on vehicles still in the West Country on various rural routes. My desire to ride meant I took few photos at the time but I am attaching a selection which may be of interest. 270 KTA at East Portlemouth. 315 EDV is in Barnstaple having come from Lynton. 335 EDV is turning at Newton Ferrers on the Noss Mayo service. 269 KTA is in Guildford with Tillingbourne after a repaint. 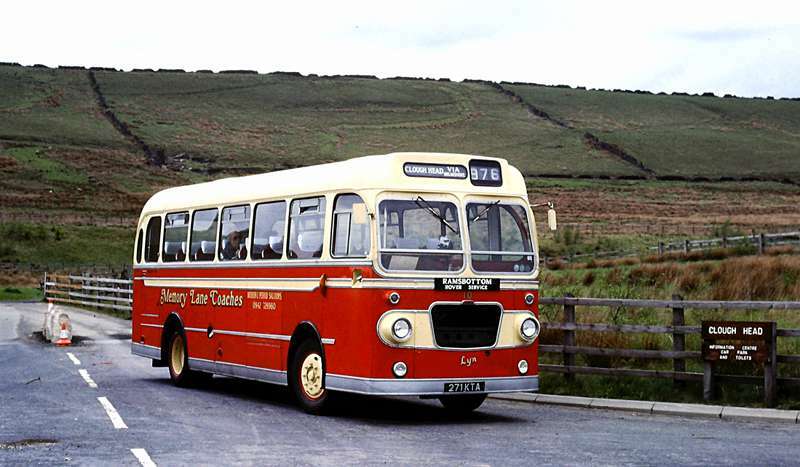 271 KTA is with Memory Lane Coaches on a vintage service from Clough Head to Ramsbottom. 276 KTA is with Turners in Chumleigh Devon having just finished a school run - it would sometimes be used on the Exeter service. 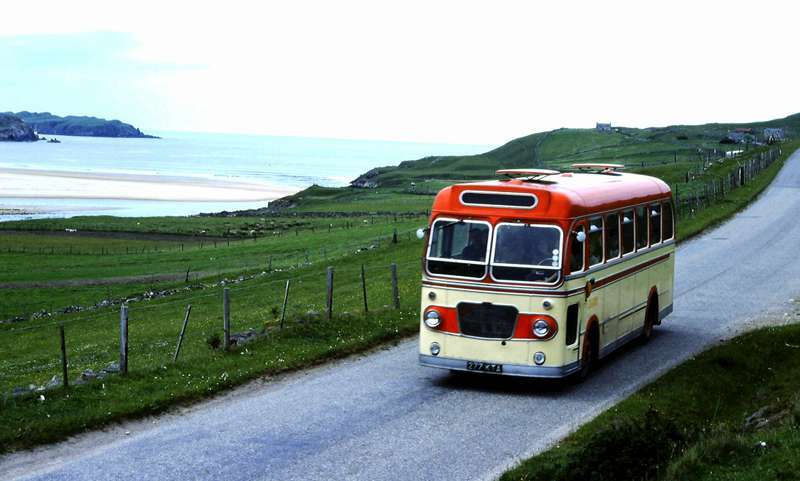 277 KTA is seen on the north coast of Scotland with O'Briens leaving Bettyhill on schools service. 280 KTA is in preservation with Tillingbourne in Cranleigh on a Sunday vintage service to Guildford. 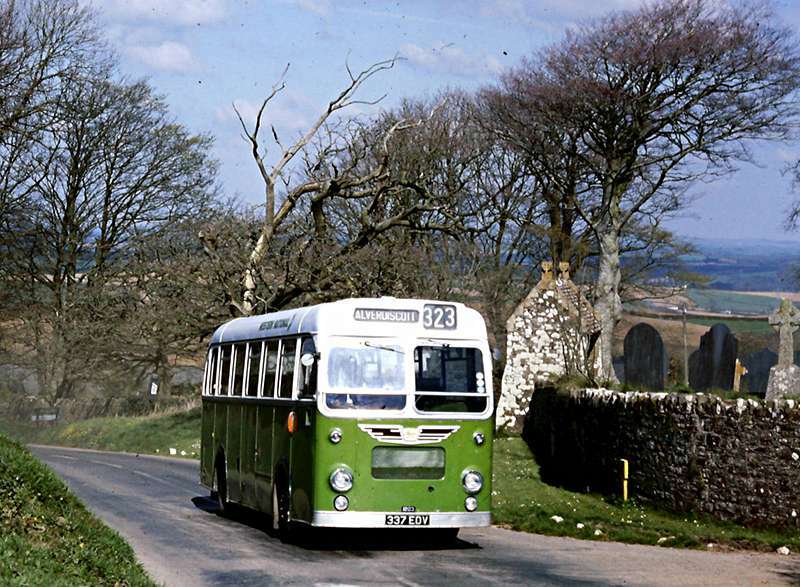 336 EDV on the back road service between Bideford and Torrington seen near Weare Gifford. 337 EDV in Alverdiscott on another Bideford service. 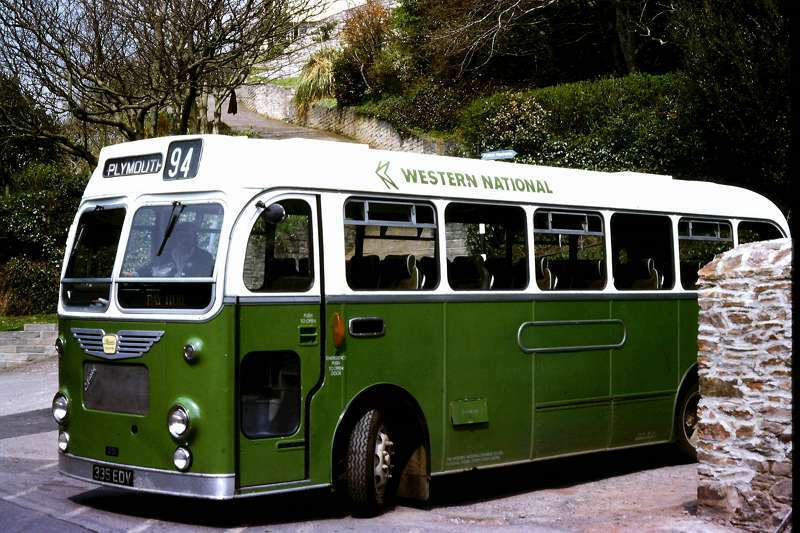 I attach a further photo of a Western National Bristol SUL4A coach, with the comment as follows. The SU coaches were unique vehicles, really pleasant to ride on. 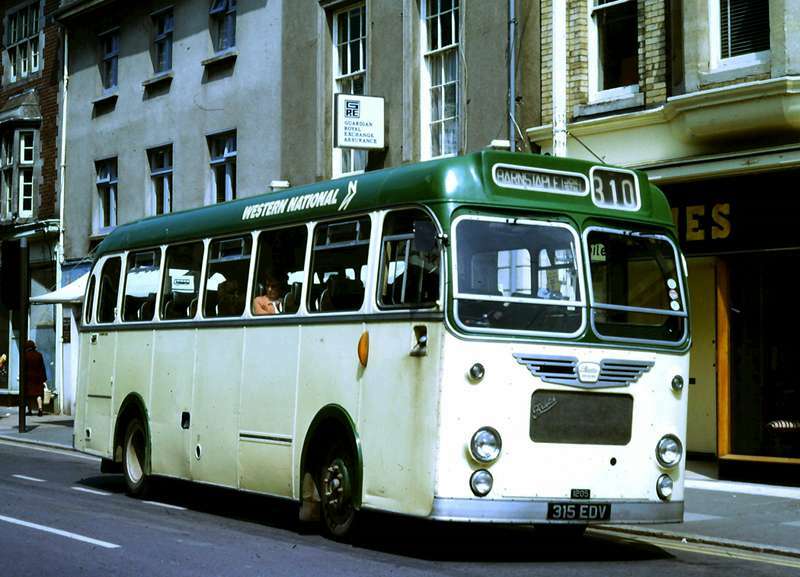 I remember a day out in the Bridport Area with Keith Newton, when we rode on several rural routes all of which were operated by Bristol SUL4As. 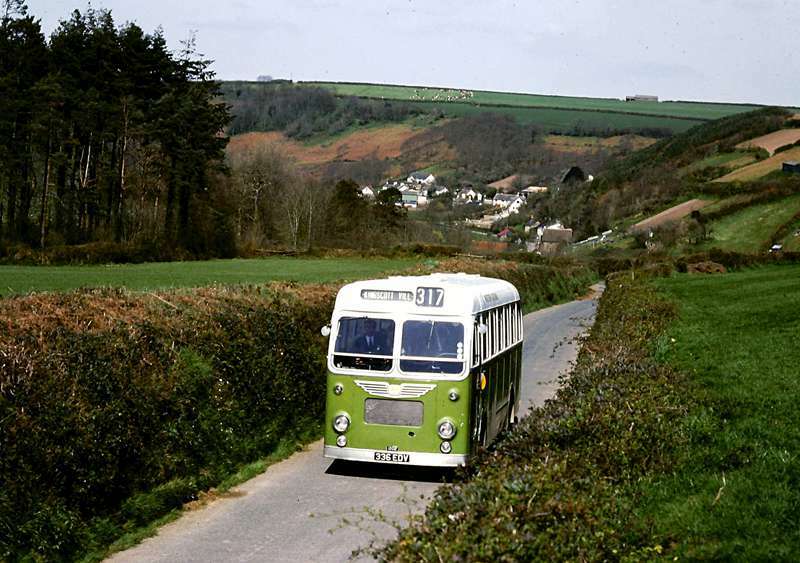 The drivers all seemed perfectly happy with these vehicles - one told us that SUs were sometimes used on the "main line" routes in the evenings in preference to the ex-Devon General AEC Reliances which were the normal fayre at that time. 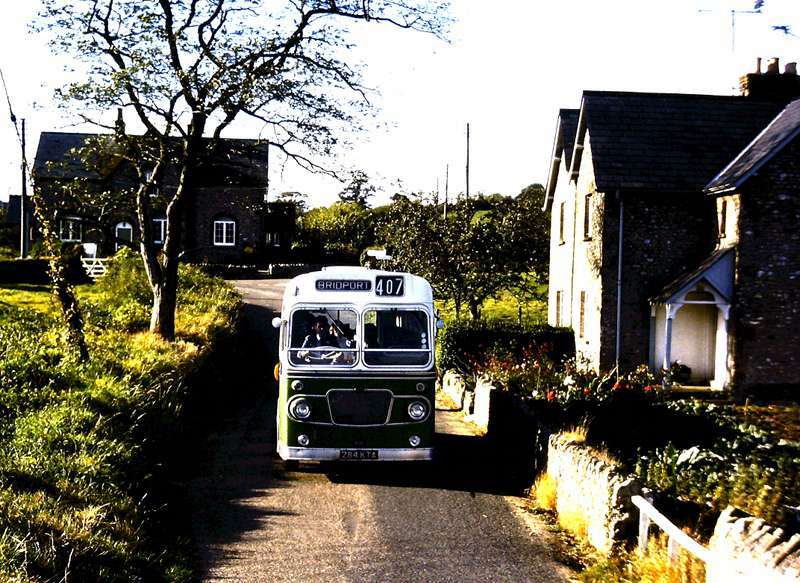 I attach a photo of Western National 1232 at Wooton Fitzpayne on that memorable day. 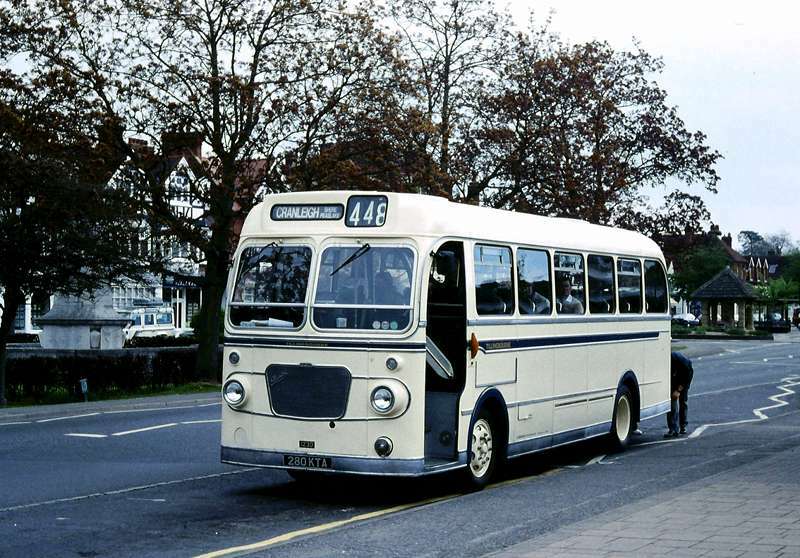 269 KTA stayed with Tillingbourne from November 1973 to December 1974, and I frequently drove it, usually on the Horsham route, on my Saturday morning stints for the operator. 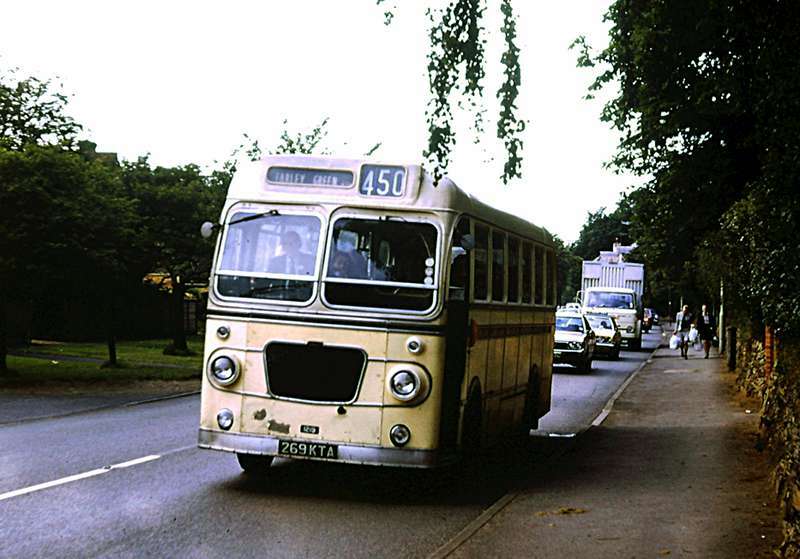 This entailed my catching the first train from North Camp (i.e Farnborough) to Gomshall, picking up the bus and then chasing down the rural roads through Holmbury St Mary, Forest Green and Ockley to pick up service at Lambs Green and Rusper. At the end of the day, the reverse trip was undertaken, and I would only just catch my homeward train at Gomshall by the skin of my teeth. I always liked the Bristol SU, despite its mechanical frailties, notably the Albion engine, but, during hours of darkness, the coach version suffered from serious internal reflections in the windscreen from the interior lighting, a feature not entirely welcome when driving on unlit, narrow rural roads. The bus bodied variety did not have this problem.